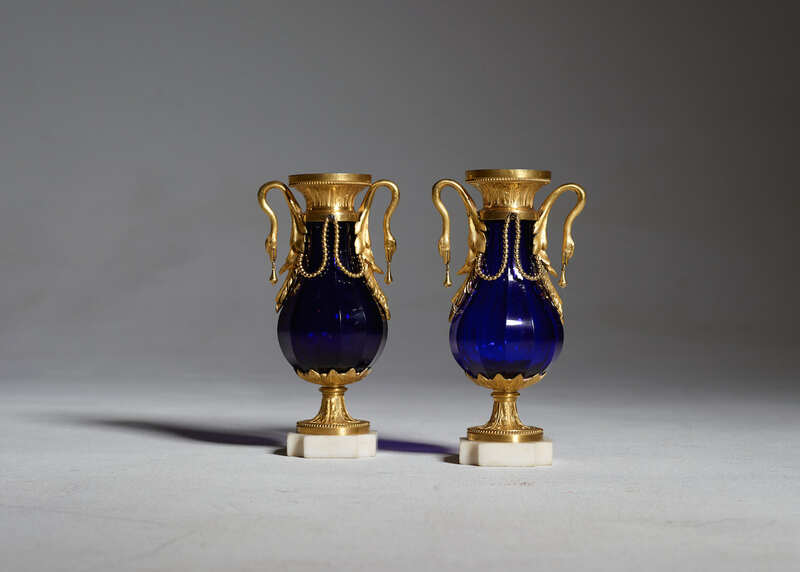 A pair of late 18th century French ormolu mounted cut cobalt blue glass vases. 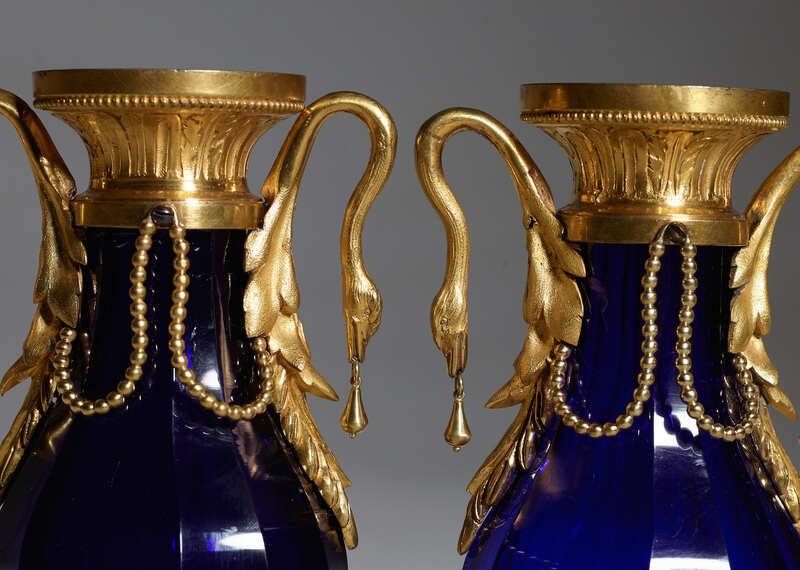 Each vase with a baluster shape cut glass bowl, flanked by acanthus leafs and terminating with a swan head holding a pendant. 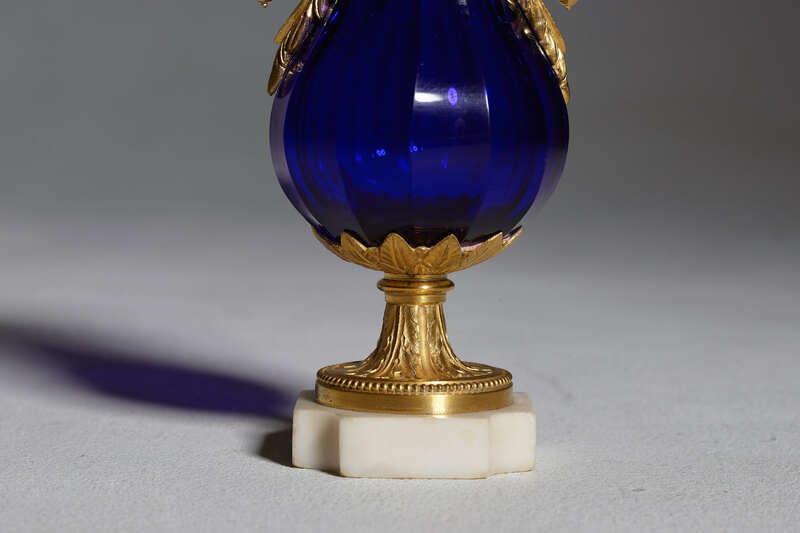 The ormolu base with a cicular flower frieze on a marble plinth. 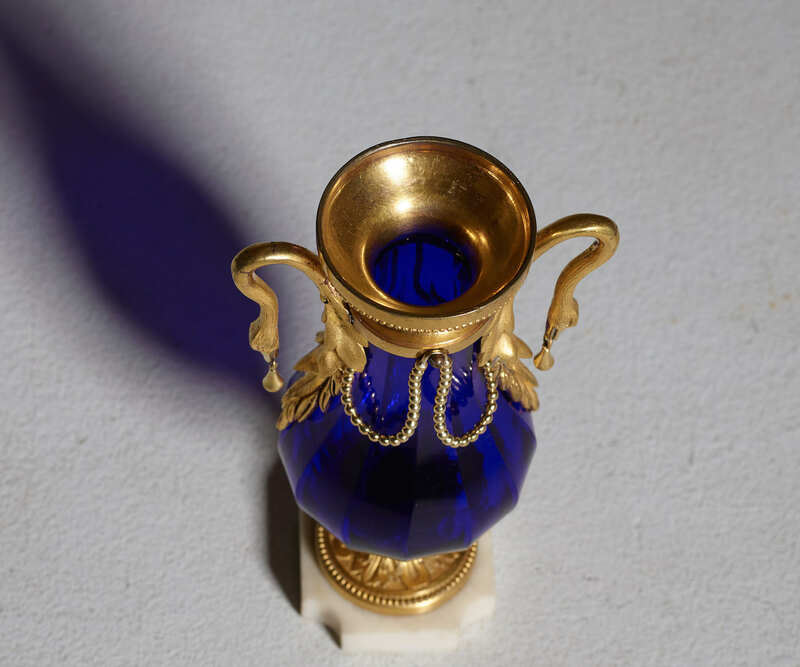 Good condition, minor wear cosistent with age.